These soft, stylish and comfy "I Run on Coffee Chaos and Cuss Words" shirts are the perfect addition to your wardrobe! It's the little things that make life sweet, stylishly display your necessities. These make a great gift too! 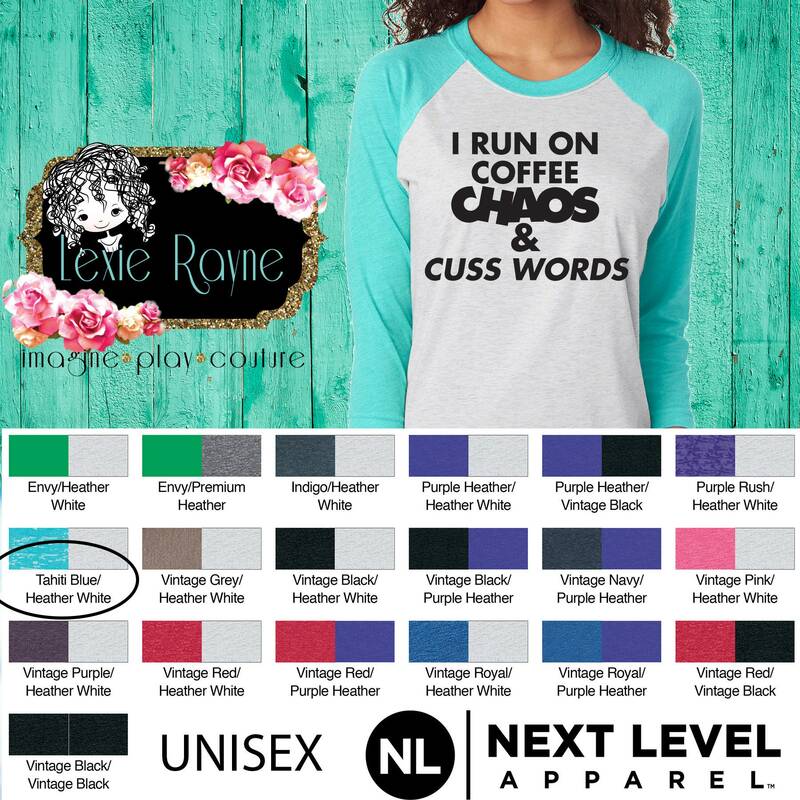 Shirts are super soft tri-blend material. These are unisex sizing. Top quality vinyl applied with a professional heat press for a long-lasting finish. Select shirt color from drop-down menu. Cancellations permitted within 24 hours after purchase. Thank you! Please visit our shop for more styles.